No narrative, really, just some recent shots. The first one was taken in the taxi we rode from the Chiang Mai Airport to our residence. 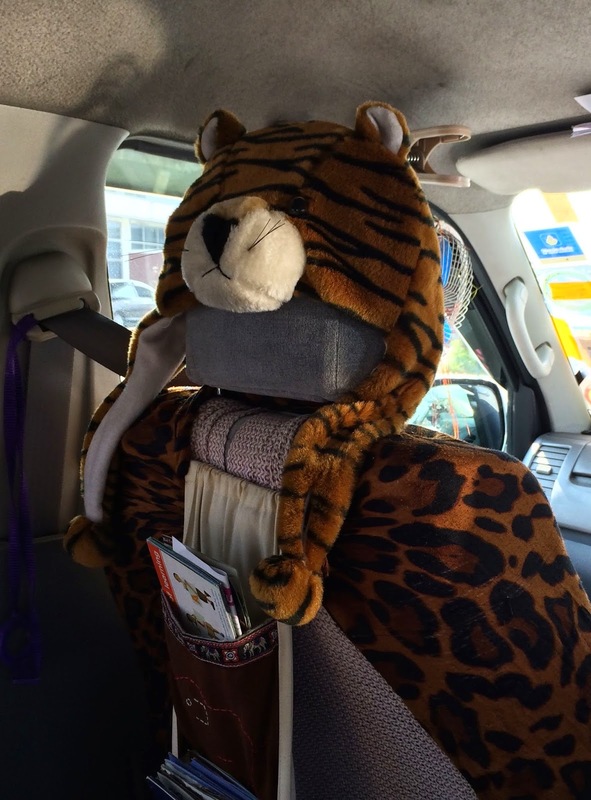 He had a white tiger on the driver's side. And he had a good sense of humor! This is in front of a bank near where we get our massages. 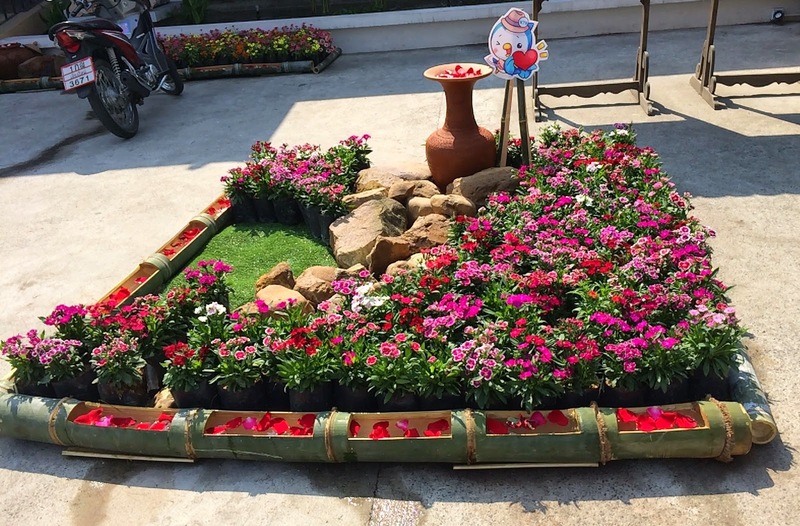 I think it is in honor of the CM Flower Festival this weekend. 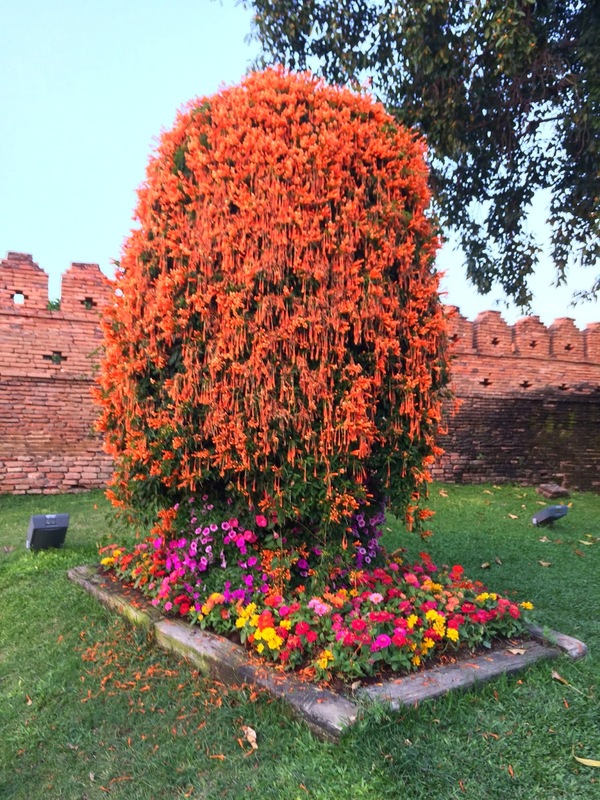 We've walked by this area at the U-turn near Chiang Mai gate but never saw this tree. I think maybe it started to bloom while we were away. I can't imagine I wouldn't have noticed these blooms. 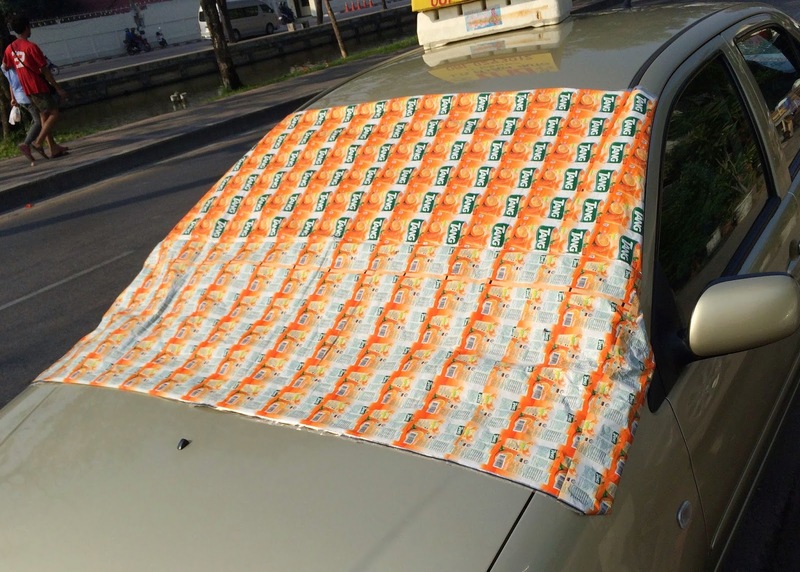 This morning on my walk to Tai Chi class, I saw this ingenious sunshade on a car. In case you can't see it clearly, it is made up of many small plastic Tang packets connected together. Last night at dinner a woman came around selling flowers. Dan got these two nice big mums. 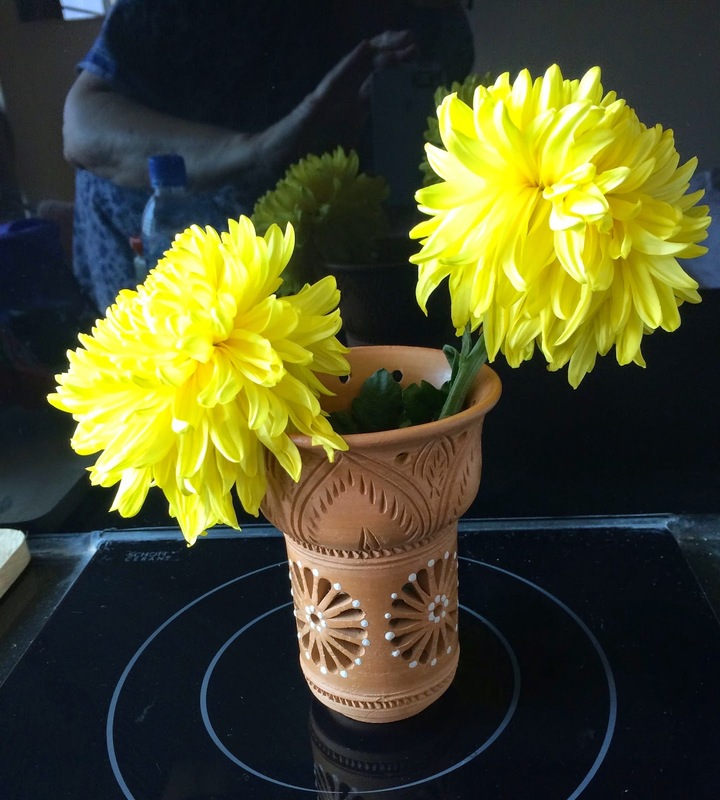 I put them in the small pot we got from the Cambodian potter who helped me when I fainted. Unfortunately, it doesn't hold water (see the little holes?) but it's the only thing we've got.